The mental game involves having a goal or mission which you commit to achieving. You must trust yourself and let go of conscious effort Emphasis is on the process of achieving your goal rather than the actual result or outcome. Make your goals specific and measurable-they should be difficult but realistic. finally, adjust your goals when necessary. Your goals should . focus on the present moment (e.g., this pitch, today’s practice). A slow steady breath puts your focus on the present moment. It enables you to ”check in” with yourself to see if you are in control. If you are not in control it helps you get in control. It helps you release negatives and energizes you when you are feeling sluggish. Deep abdominal breathing helps you shift from conscious thinking to unconscious trusting, and helps establish a . routine and sense of rhythm in your pitching. You need to reference your internal stoplight so you can recognize when you are becoming stressed and losing control (yellow light) or are stressed and have lost control (red light). Once you recognize the situation you need to have a method of releasing the stress and regrouping. Breathing is a great means of releasing stress and getting back to the present moment. Cleaning off the rubber, picking up the rosin bag and throwing it down, and having a focal point in the ballpark are potential releases that will allow you to regroup and get back to a “green light” mode. When you are unencumbered by stress, you are ready to get back to your performance routine which readies you to respond and execute your plan with trust. What follows is an example of a pitcher experiencing a green light and the same pitcher in a· red or yellow light mode. It is a short excerpt from Ken Ravizza and Tom Hanson’s book, and shows how to handle both situations. The following is an example of a pitcher whose routine is helping him maintain a fluid, positive rhythm. As he gets the ball back from the catcher. Self-control: He can feel he’s in a good rhythm and that things are going well. That’s a green light. Plan: He steps on the rubber (which means he’s ready to go on this pitch), and takes a deep breath. He gets the sign from the catcher: curveball, down and in. He commits to throwing a curve ball , down and in. Self- control: The pitcher recognizes that he’s upset. He had a good inning going and all the sudden he’s behind 1-0. He wants to hurry and get back at the next guy. He’s got at least a yellow, it not a red light. To get himself under control, he turns his back to home plate and walks to the area behind the mound. He looks out to his “focal point,” the flag pole in center field, which reminds him that there’s nothing he can do about the past or future, and that he should relax and focus on this next pitch. He takes a good breath, turns around and walks confidently back up on the mound. 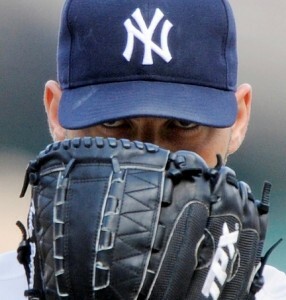 Before he steps on the rubber he pauses to make sure he’s ready for the, next pitch. Plan: He steps on the rubber and takes a deep breath. He then gets the sign from the catcher: fastball, low and away. He then commits to throwing a fastball, low and away. Trust: He directs his focus to his target, the catcher’s mitt and throws the pitch. Practice is the best place to work on your mental game. The quality of your practice is your responsibility. Have a daily goal or mission, then be focused on the moment . Everything you do in practice is important. There are no little things. One of the best times to work on the mental game is when you have experienced failure and are feeling somewhat depressed. (Short-term depression is okay.) This is a great opportunity to utilize your mental game techniques to work toward turning things around and regaining control of your environment.